Check out the new addition to the pack! 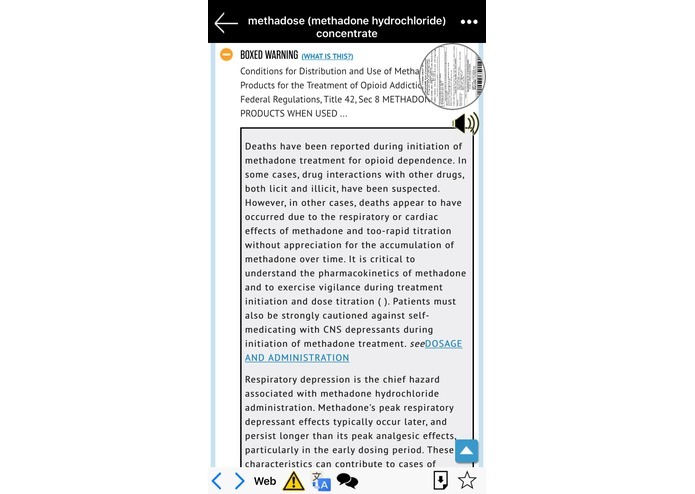 DailyMed drug facts in Text and PDF with option to save for Offline uses. Additional reported side effects from FDA and Labels available. Drug interactions individually or combinations powered by federal health data. Discussion forums for more community support. Anonymously post any comments and links. Directory of thousands of treatment centers in the US with 1-click connect national hotline. Filter by name, city, state, and nearby. Smart links to Call and access Directions during emergency times of crisis. 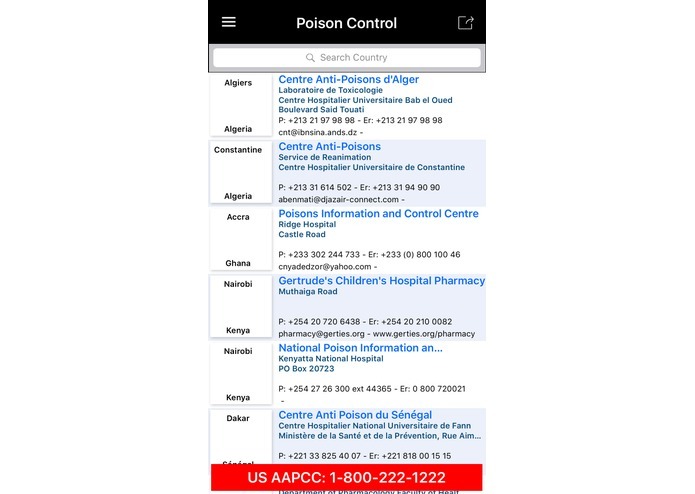 Directory of Poison control centers around the world with 1-click connect US hotline for help anytime anywhere. Drug Facts Pill ID has been one of the leading medical apps on the market used by thousands of consumers and health professionals around the world. 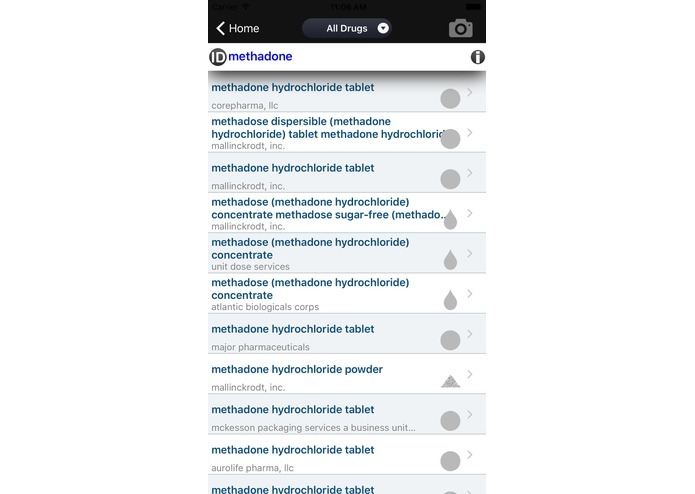 The app features a unique method to ID pill by allowing anyone to submit Pill Photos to be identified. Anyone can search for any drug by name, imprints, NDC, barcode, shapes, colors, size, and scores for prescription, over-the-counter, and pets medications. With such a powerful system, the decision to add more drugs to the list was a no brainer. Today, we are proud to add MAT drugs used by patients in Opioid Recovery. 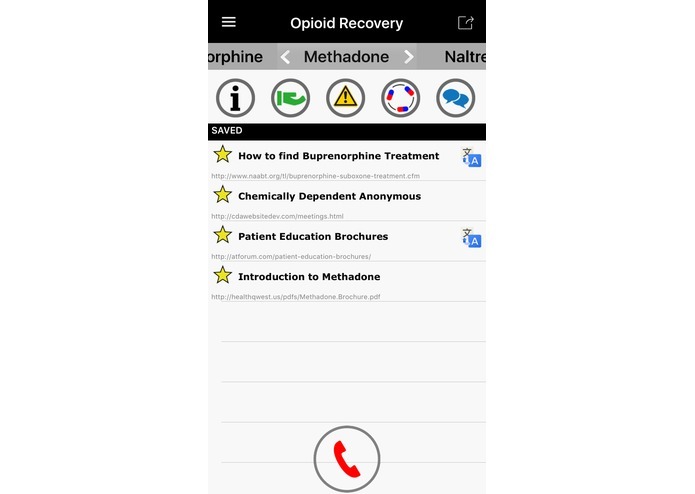 The 3 most common drugs Buprenorphine, Methadone, and Naltrexone are deep linked to multiple sources of drug information including side effects throughout the app. From the home page, there are links to treatment information, educational materials, and resources to find local meetings. Simply click to access content in PDF or webpages. Tap the Star icon to save as shortcuts for quick access. For drug interactions, access is only a few taps away. Tap to pull up different forms of the drug. Tap again to view interactions between that drug and other known drugs. For specific drug to drug interactions, simply enter another drug to view the combination interactions. We set out to address Insight 1 to provide helpful drug information and interactions as fast as possible but also overlap with Insight 2 and Insight 3 to create the simplest way to access educational materials. We also added a forum to help find meetings and share with recovery coach or clinician from the community. 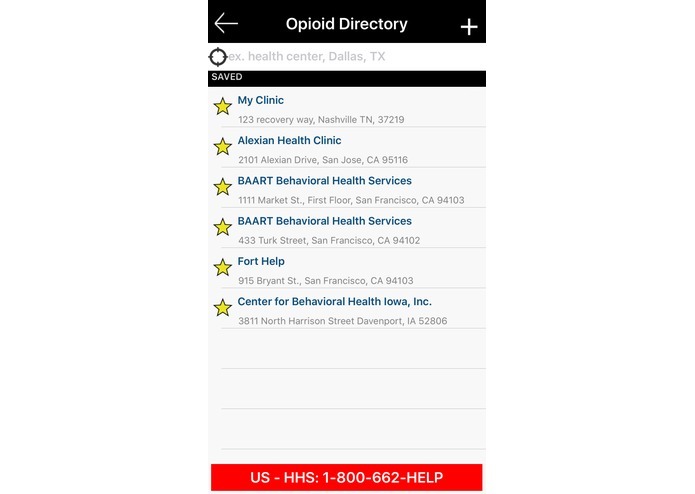 As extra bonus, we went above and beyond to incorporate a directory with 1-click connect to the US HHS hotline and treatment centers. We feel strongly about this addition because it makes help only a few taps away during times of doubts and crisis. For all the resources, we converted the Asset links to a file to display on the app. 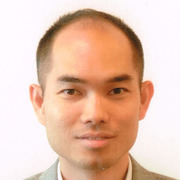 This server file can be updated anytime without needing to update the app. Every link has a title and web links to access the information. Then, we added a way to save shortcuts right on the app for future quick access. 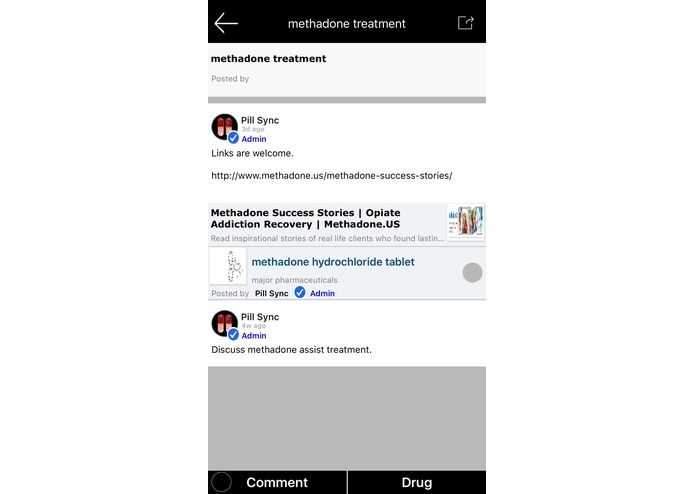 For drug interactions and discussions, we created deep links into the rest of the app to easily retrieve details for each drug. From the homepage, users are 1-click away from important information that could save their life. 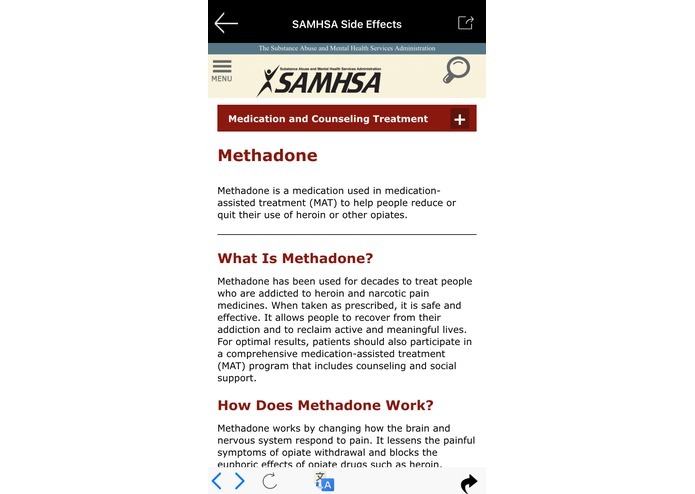 1 tap to search and view DailyMed drug facts. For translation, we integrated every non-PDF resources to be linked to Google Translation. A special mechanism was created to convert webpages into the raw text in order to be translated. For PDF resources, there is a native PDF reader that's especially great on the iPad. 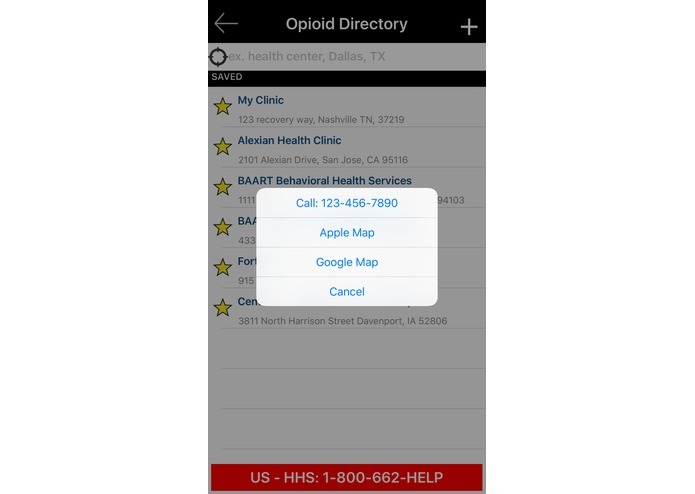 For the directory, we downloaded the open excel table from SAMHSA and used Google APIs to add geolocation coordinates in order to search by proximity. This entire database was converted and imported to the app to work even without internet connection. We also added a form to add future treatment centers to centralize resources on one single place. This is something we feel strongly about because you never know when people need help the most. Some of the resources in PDFs or without Full Access usage limited our suite of tools. Some links are not formatted for reading on mobile devices. This also disabled Google Translation. The other issue was figuring out which Form of the Drug by which Manufacturer are most often used for MAT treatment. 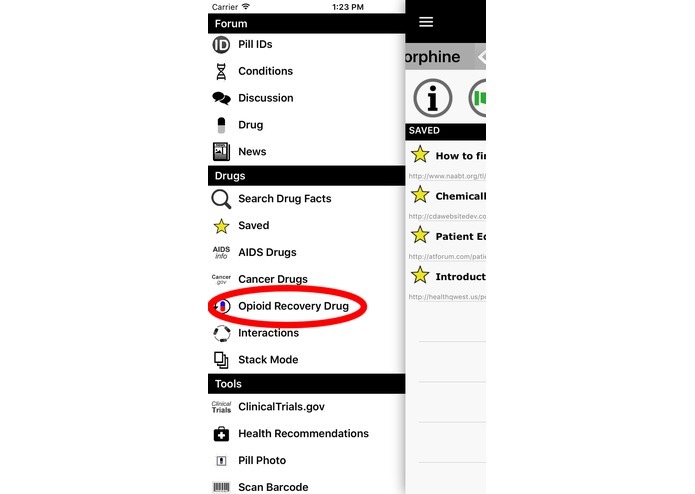 This would help create faster shortcuts to retrieve the drug info vs Searching for every drug to be selected. Most proud of the Google Translation working on webpages and the Offline access for Drug Facts and Opioid Directory to be accessible anytime it's needed. It can truly be overwhelming to deal with new drugs and ongoing side effects during treatment. There are many kinds and types of drugs on the market. Some of the drug facts need to be digested in a way that's helpful to everyone. There are plans to improve the Forums to easily access links and search for content as more people come on board. This is where a lot of other great resources can be shared on an ongoing basis so we wanna make it convenient. More Offline access is also on the roadmap for PDF and webpage resources. We want any relevant information to be saved and accessed anywhere under any circumstances.